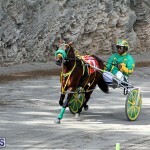 Harness Pony Racing continued at the National Equestrian Center on Vesey Street with Candyce Martins in the bike of GoogleMe setting a New Mare Record. 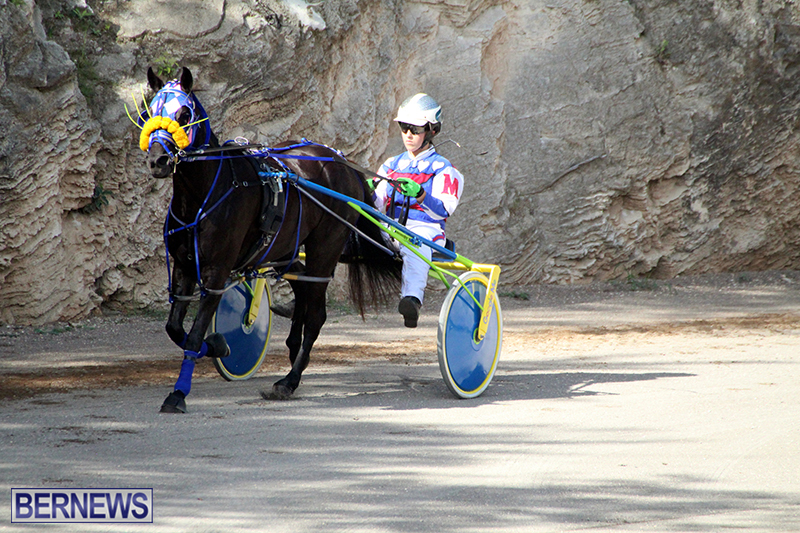 Competing in Heat 11 which was the 1:04&1 – 1:05&1 Time Bar Class, Martins and GoogleMe stopped the clock in a time of 1:02&1, Dylan DeSilva in the bike of Double Time was second in 1:04&1 and Kiwon Waldron in the bake of Special Gold finished 3rd in a time of 1:05&1. 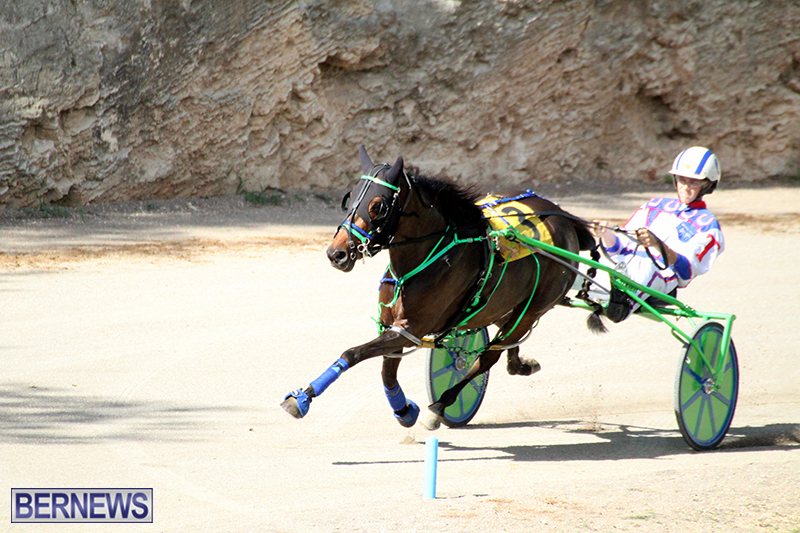 Andrea Westerfield in the bike of Custard the Dragon put one leg out of the 1:03&4 & Faster Time Bar Class when in Heat One they clocked a winning time of 1:03 flat, Kiwon Waldron and Gold-N-Glory who also put a leg out finished second with a time of 1:03&1 and Christian Truran in the bike of Pocket De Gold finished third with a time of 1:04&1. 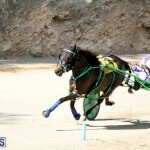 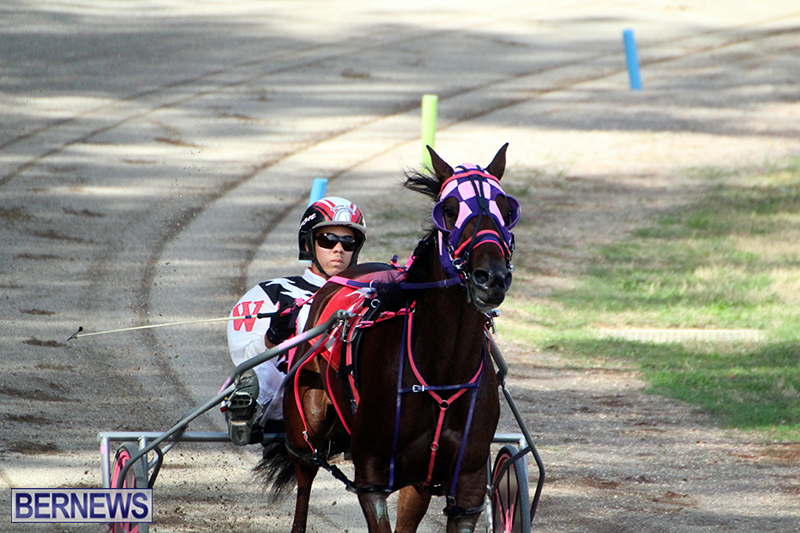 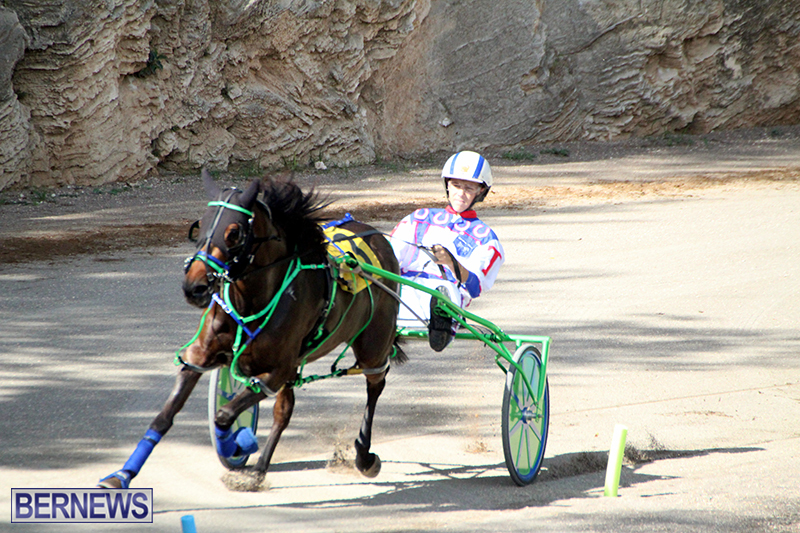 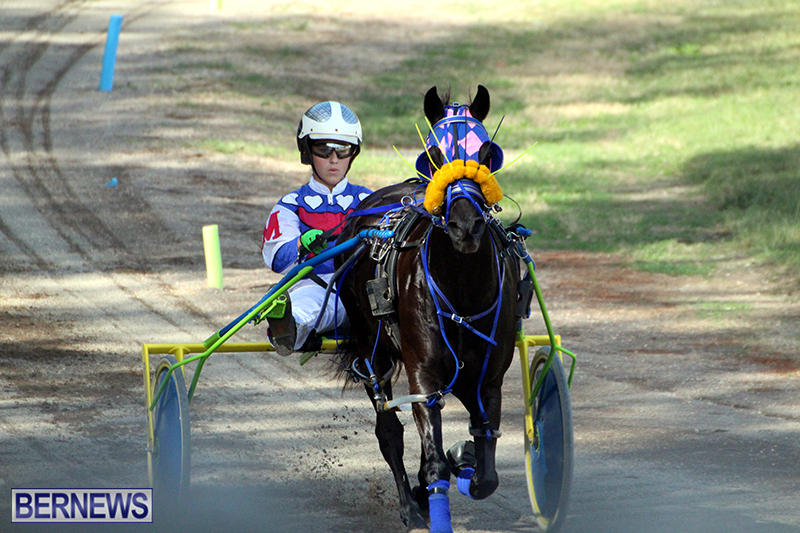 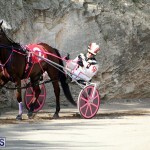 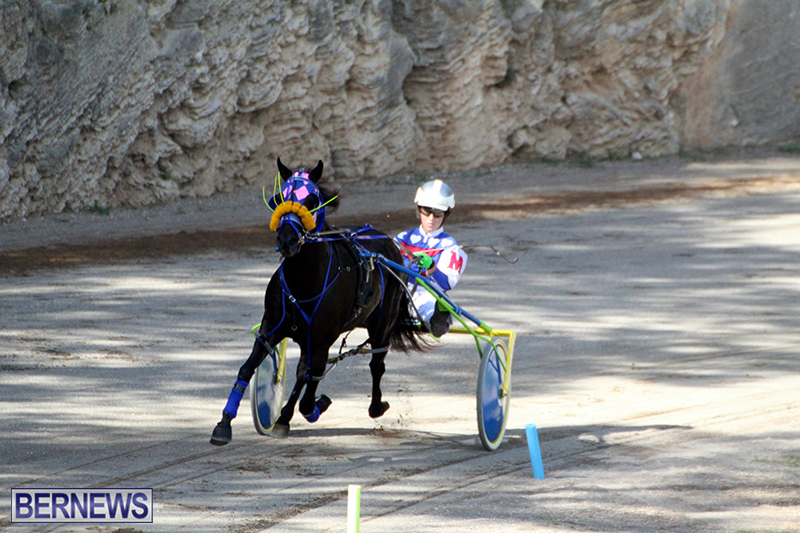 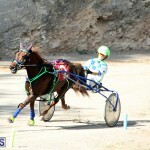 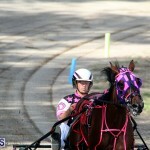 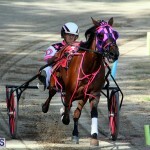 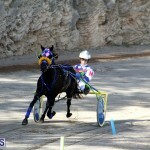 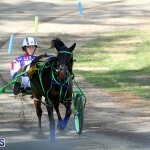 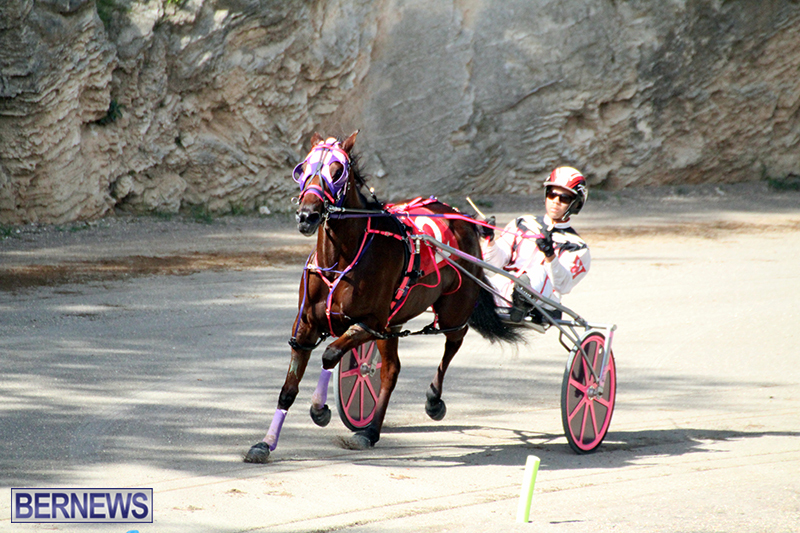 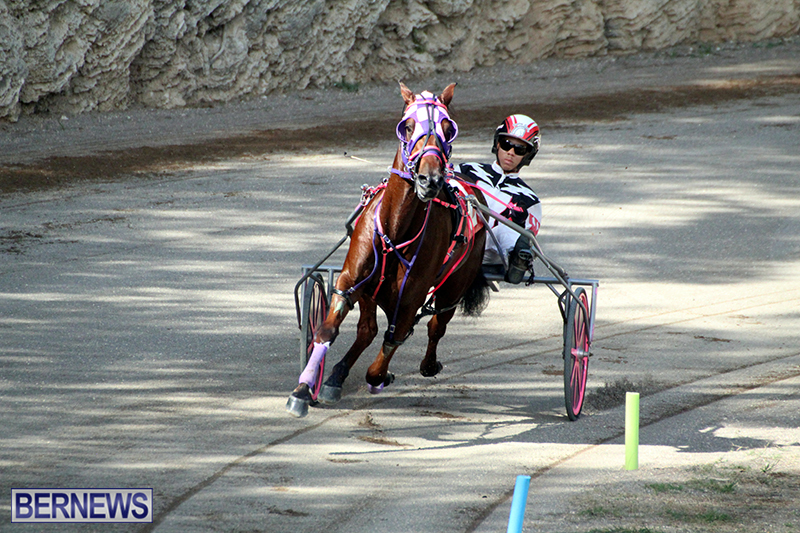 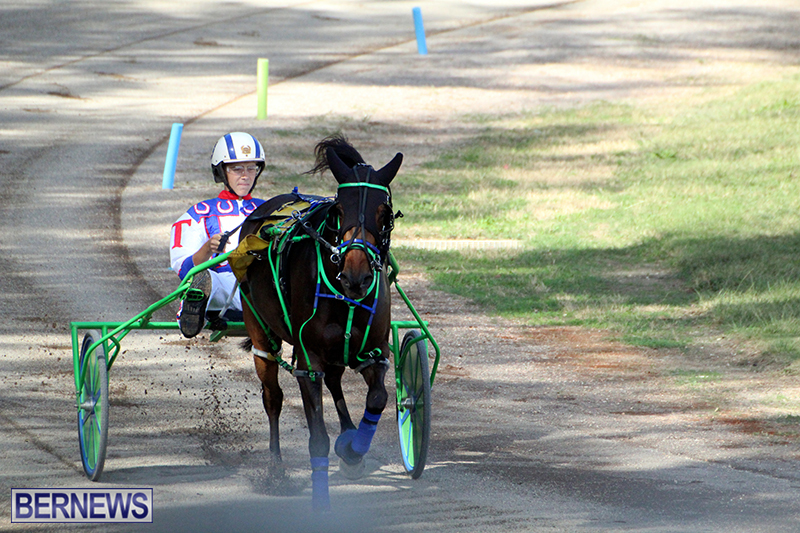 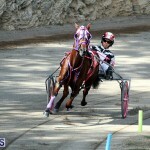 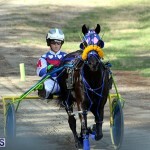 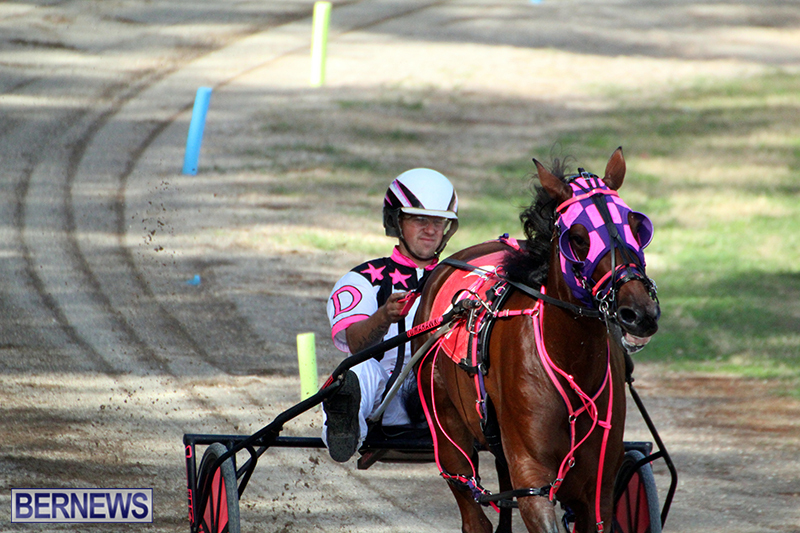 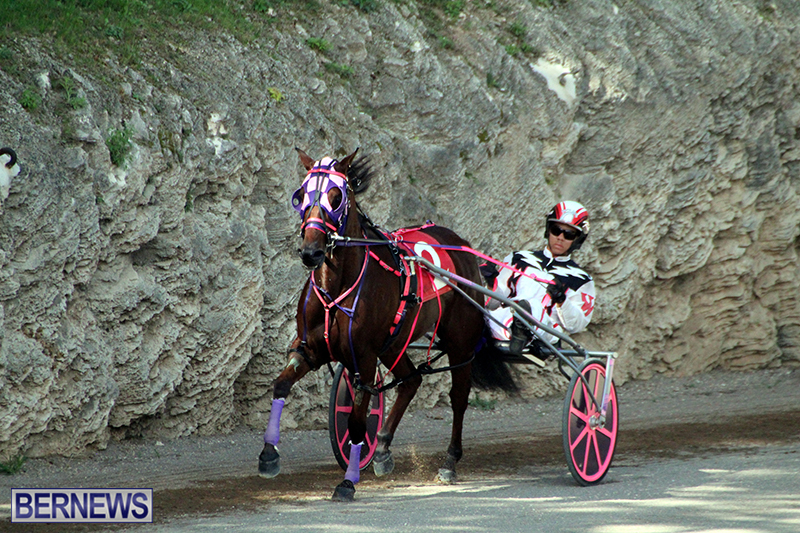 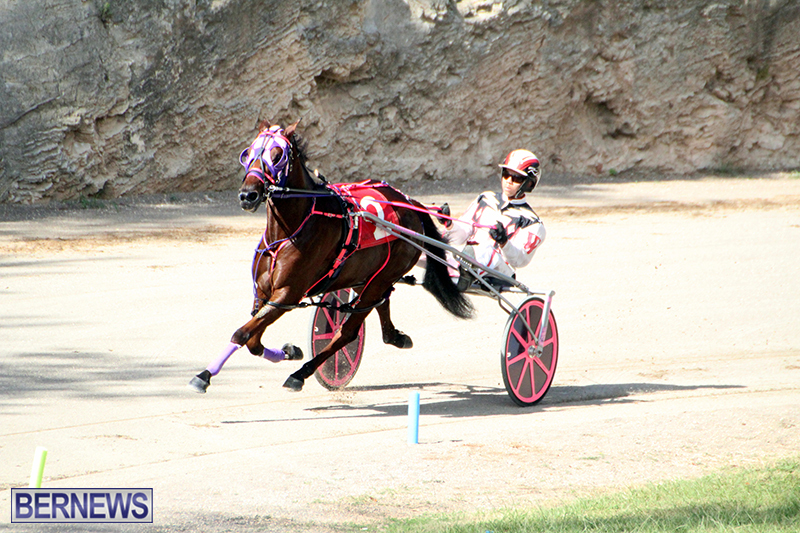 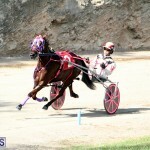 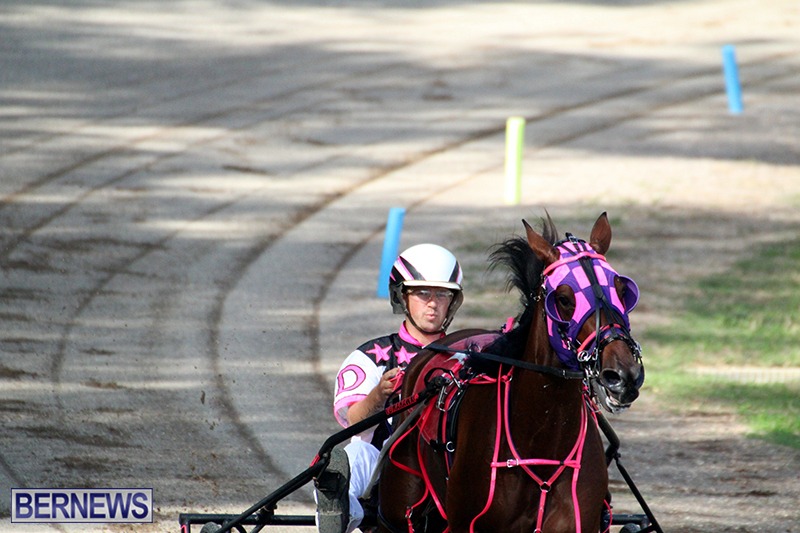 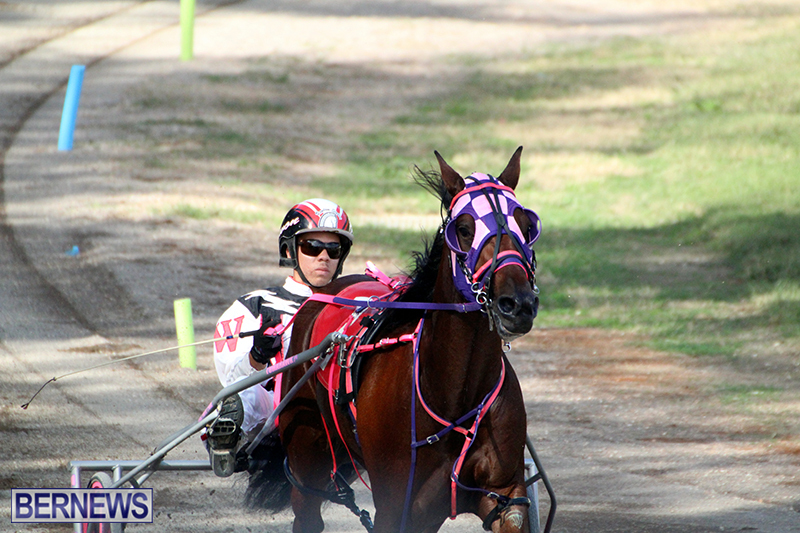 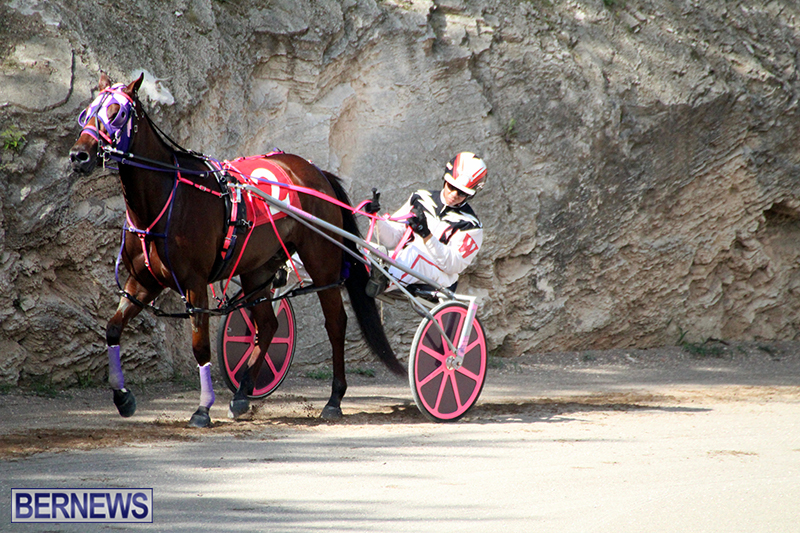 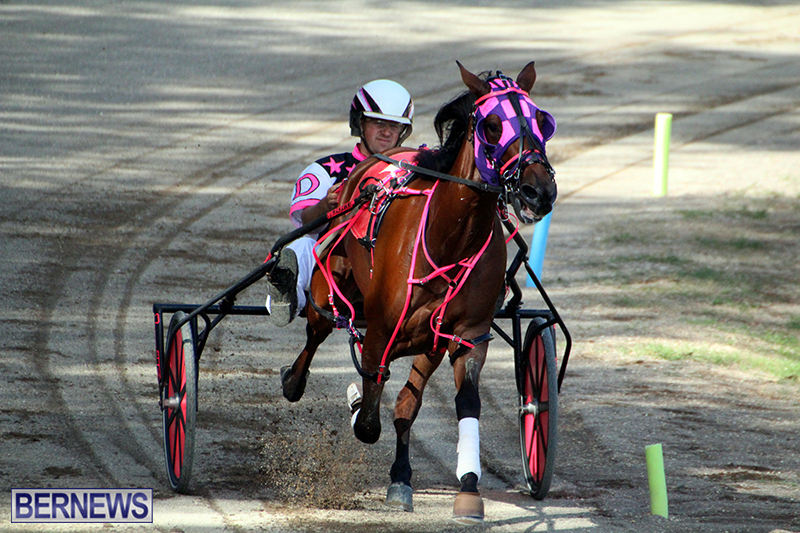 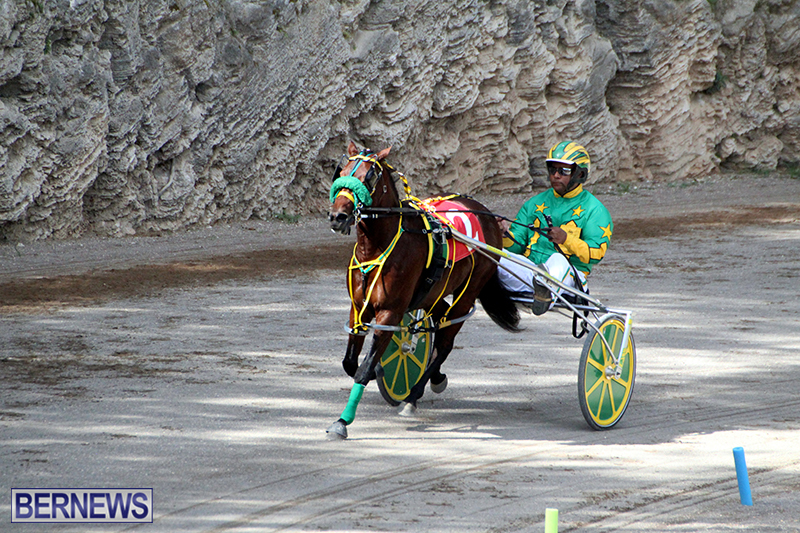 Waldron and Gold-N-Glory would put their second leg out during Heat 2 when they finished second with a time of 1:03&2. 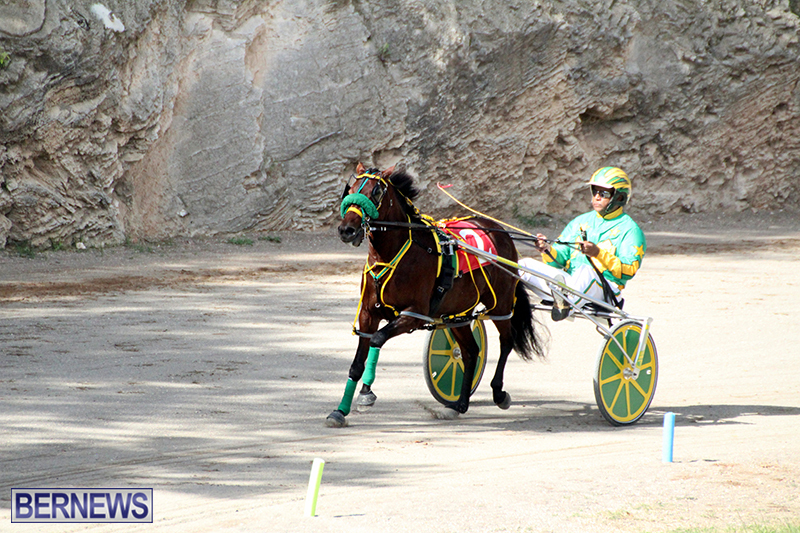 David Burrows and Reign of Terror put one leg out of the 1:06&3 to 1:08 Flat Class when they clocked a winning time of 1:05&1. 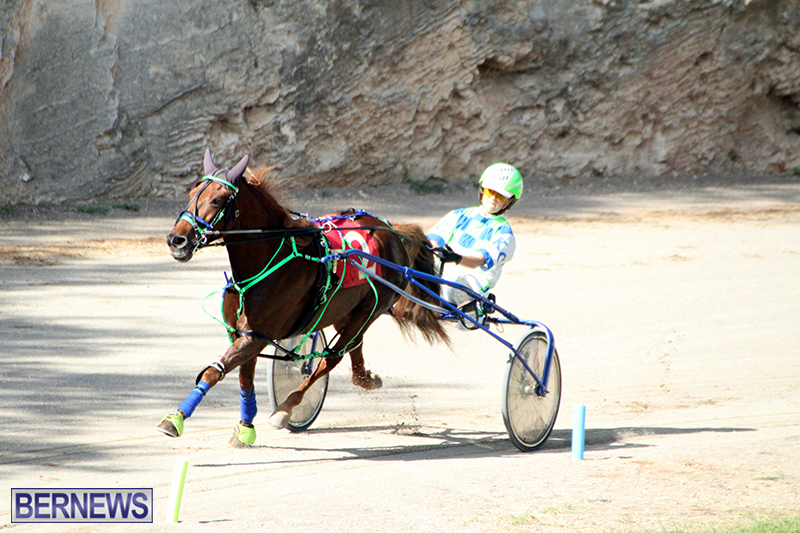 The full 2018 Bermuda Harness Pony Racing November 11th results are here [PDF].